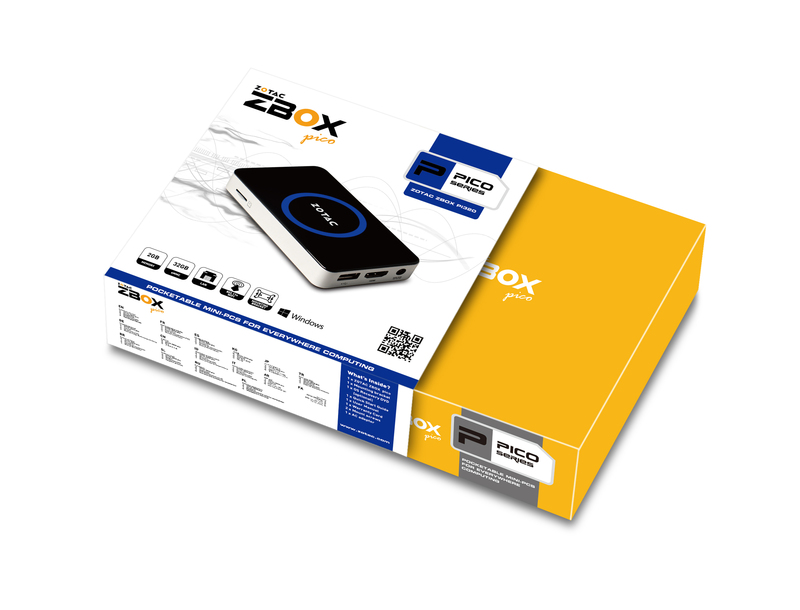 Lets take a look at what we get in the box and a closer look of the mini PC itself. 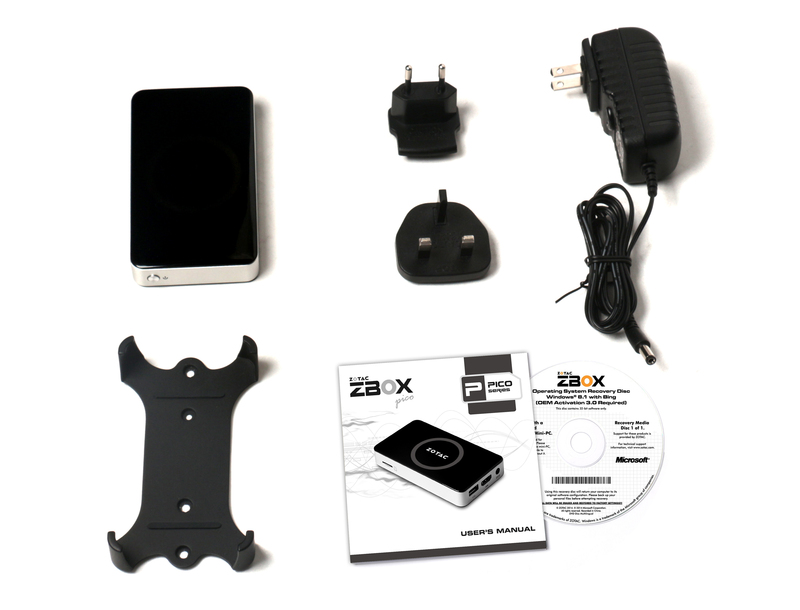 In the box, we get the device itself, a VESA mounting bracket, a power adapter with interchangeable socket plugs, a recovery disc and a user manual. 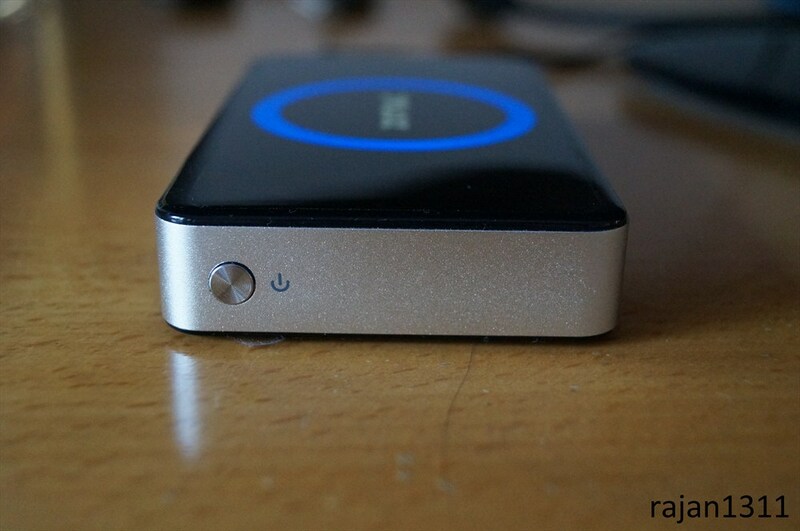 Now for the device itself, its pretty much as large as a smart phone, just thicker. 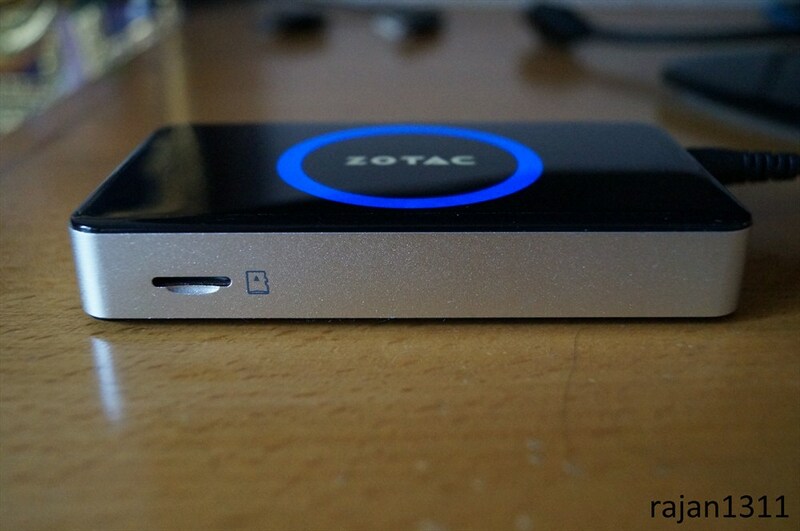 When powered up, the Zotac logo lights up. 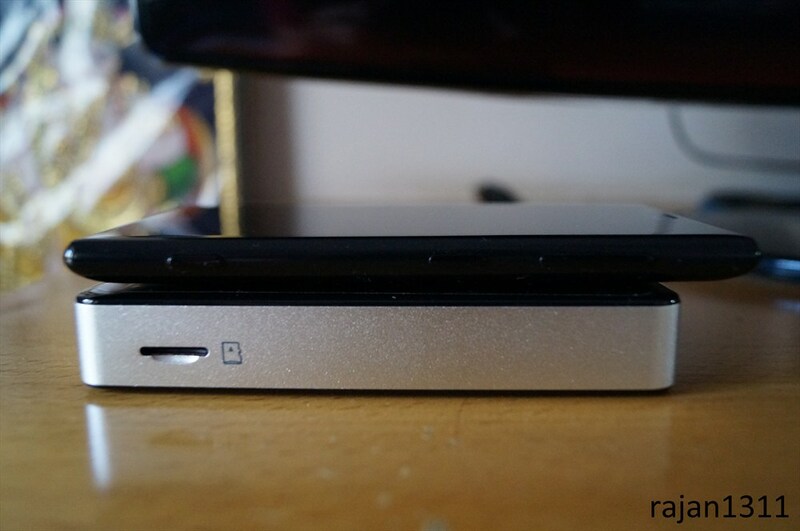 In the front we got a Micro SD card slot, which supports up to 128GB. Some connectivity options here. 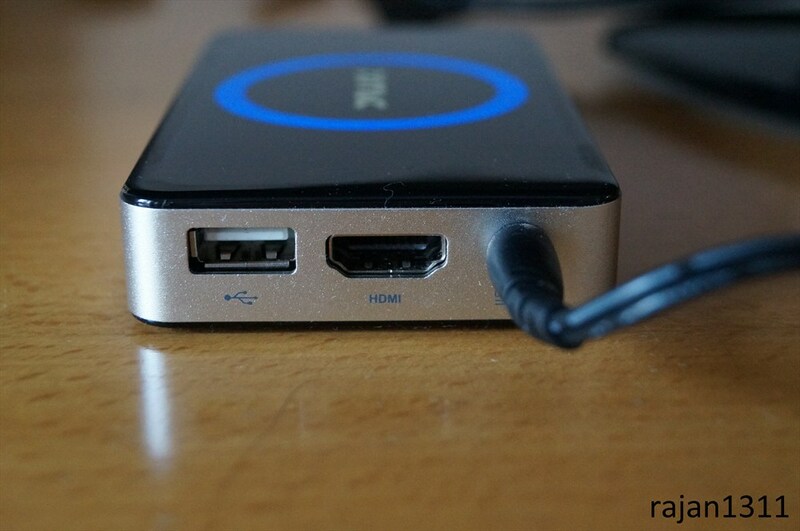 Here are 2 out of the 3 USB 2.0 ports on the device, 3.5mm headphone jack and an ethernet port. 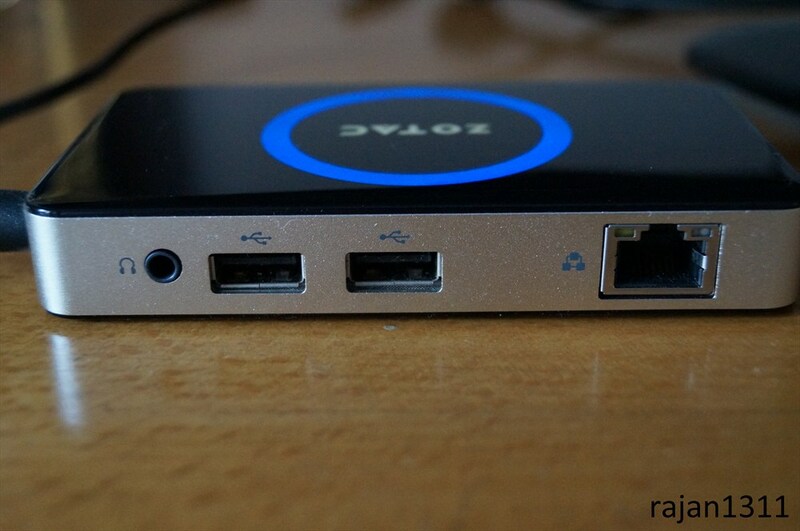 Here we see another USB 2.0 port, HDMI port and the power connector. 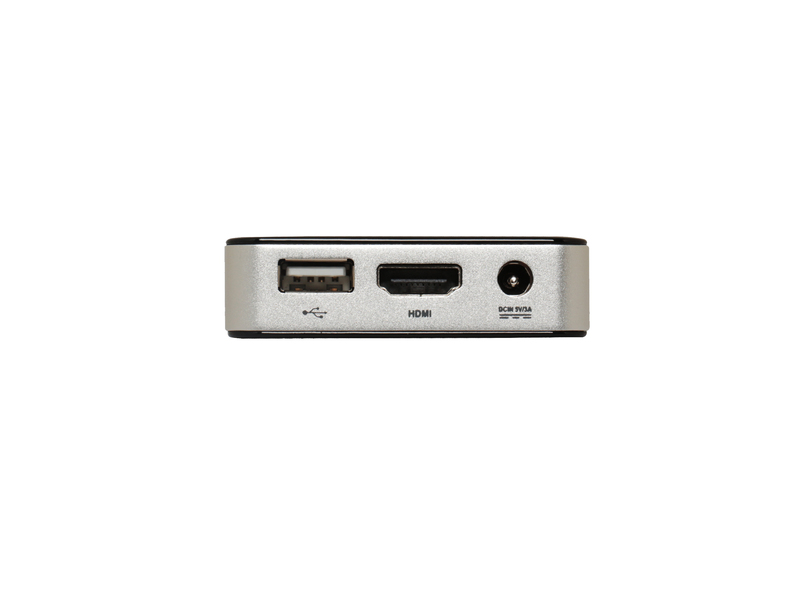 This USB port is ideal positioned for connecting a USB adapter for wireless a keyboard/mouse. Overall the device is really light and feels well built. The plastic on the top has also a glass feel to it and the lights make it look great. Also note, the size makes it fit perfectly in the pocket, as advertised 😉 . Now that we know what it looks like on the outside, lets take a quick run of how it performs. First up, some CPU benchmarks.